Now, once you have known the secret of attracting anything that you like into your life, it also becomes important to keep a check on what you desire. You know that you now need to change the way you think and the way you feel. Whatever you think with a strong feeling has the power to manifest. If you are stuck with something in life that you do not desire or if you dislike something in your life then all that you need to do is tell yourself what you need now. If you don't like or need something in your life you should not be thinking or feeling about it anymore. For example, if you are addicted to smoking/drinking, you now need to tell yourself that you need a healthier lifestyle and stop focussing on the smoking and drinking. Throughout all times you need to be thinking, imagining and feeling of a healthy lifestyle. You could visualize yourself happily chatting or working in a smoke-free zone and enjoying yourself at a gathering having a refreshing lemonade and yet happily enjoying that drink and feeling happy and joyful in that atmosphere. Here, note that you don't have to otherwise struggle with the urge to smoke or drink. If the urge you feel is too much have the drink or the smoke but reduce it drastically. Like you may smoke half a cigarrete and throw it away and restrict to fewer drinks. At the same time, do not let the thoughts of craving overpower you. The moment you have the craving think about what I mentioned above. Very soon you will see yourself gaining power and one fine day will come when you are unclutched from that addiction. This can be applied to any addiction. Same way if you feel that you need a better job, focus on what you want. Never focus on what you don't want. Thinking and worrying about how bad your current job is and how irritating certain aspects of your job are, you end up attracting and magnifying your current problems. The more you hate your job the more situations will be created where you will have to hate your job. The Universe, as I mentioned, is innocent. It silently gives you what you ask for. Asking is nothing but thinking and feeling. What you think and feel most of the time will be what your life will look like. So, it is said what you think you are. Same, if you want to attract an ideal partner you need to be thinking and feeling about how your partner would be and start living as though the partner already lives with you. Very important is that you actually be and live in the way you want your life to be. When you do so you are giving the Universe the message that you trust it. Soon you will notice strange co-incidences and changes in your life. Please know that these changes may be good or bad depending on your current situations. You will still have to maintain and continue thin king and feeling what you want. It is exactly similar to a jigsaw puzzle. 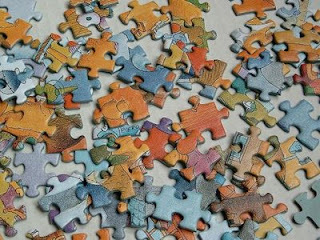 All the pieces are different incidents, people, situations, etc that are flying around and the whole jigsaw puzzle is YOU. When you remain as the puzzle you are puzzled because all the pieces are moving around in a confusing manner but when you move your conciousness from the puzzle, rise above it all and now look at the jigsaw puzzle from top you will see how beautifully all the pieces are trying to rearrange and fix the jigsaw (YOU) rightly. So do the best, think the best and feel the best and leave the rest! BUT, BUT, BUT there are some things that you need to be careful of. Now, all these changes that you are attempting to bring into your life is by changing your thoughts and feeling. But what most of the time we fail to notice is our subconcious thoughts and actions and also at times we do not rightly arrange our thoughts and feelings. For example, if one wanted to attract an ideal partner one may think and feel being with such a person all possible time. One may rightly think of a person with all the qualities that one may want but may actually overlook the most important thing. Nature will send such a person to you. A girl may imagine a handome, strong, well-earning, loving person and send out thoughts of wanting a man with all these qualities. What could happen possibly is through some manner such a man will be attracted into this girl's life but this person may be handsome, strong, well to do and loving but may carry a bad character. Then one starts blaming the law of manifestation for bringing a man with a lousy character but if one notices carefully he was the one she asked for. 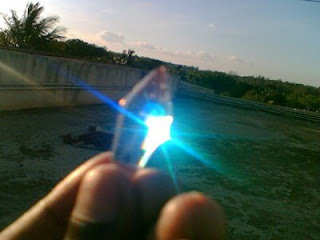 So, one has to be very precise and careful when working with the law of attraction. I had heard about a woman who knew the secret of attraction and was working on attracting millions of dollars and she did receive it one day but it was through her accident insurance after having lost her feet. When I mention these examples of nature's way of working, many get scared and tell me that they don't want to get into trouble. That is fine but what we need to understand is that even without our concious efforts we are still attracting all the time what we think and feel about. So even if you don't want to attract anything special into your life by making a concious attempt it is still better to change the negative pattern of thinking and avoiding negative experiences to be manifesting into you life. The best and safest way to attract anything that you want is by asking it for the highest good of all, to ask it to come in a healthy and positive manner, in its own perfect time. So if I would need money I would generally ask it to come in a healthy and positive manner, in its own perfect time for the highest good of all. When this happens you are sending out clear messages that the money is not for your selfish needs but also for everyone's good and you look forward for the money to come only in a positive and healthy way. When these phrases and feeling are added to your thoughts things happen in a natural and graceful manner. Please know you have to exhibit the same feeling that you want the result to be. You cannot try to attract a loving partner when deep within you hold grudges against people or hatred against others. You have to be what you want in your life. That is why it is mentioned that your life is a mirror. If you see something bad in others it means that that bad quality exists in you. Keeping a bad quality hidden and trying to attract a good quality is like preaching to your children to speak the truth when you yourself speak lies. Mind it, you will never be successful in conveying this to your children and you will end up creating what you don't want. That is why however hard we try to rear up our children we will always notice in them the real part of us for children absorb the subconcious qualities and the exchange from both sides happens all the time unconciously. Same way, we end up attracting and absorbing things unconciously, without intent and then are frustrated with the way are lives are. Know that we ourselves are responsible in every way for what we are today and for what has happened to us all our lives. But better than focussing on the negatives that would only end up creating more negatities in your life, focus on the oppo site, be precise in what you want out of life and start thinking, feeling and living that way and soon you shall have the life you desire. Also, remember that during this process, there may be experiences or incidents that will not make sense to what is happening to you. Know that all is in divine order and all has a meaning to be that way. Only thing is not to take off your focus from what you want your life to be and continue being that way. The best is yet to come, the destination may look impossible to reach but it is all in that first step that you take and the consistent steps you continue with thereafter. Think good for yourself and others and good shall come to you. Stay blessed!